At IrelandWays.com we all share a common passion: travelling. IrelandWays.com is part of the CaminoWays.com family, a team of knowledgeable and enthusiastic travel professionals, coming from different countries and continents. We believe travelling is about enriching personal experiences, the people you share the journey with or you meet along the way but mostly, about opening up to a new way to see the world around us or even a new way to see ourselves. 2002: This is the year Roland moved from his native France to Ireland. Little did he know it would become his new home… but not yet! 2004-2006: Roland takes his backpack and decides to travel the world for two whole years. During this time, he globetrotted his way across Asia, Europe and most part of South America. It was also the time he first discovered the Camino de Santiago. 2006: After his big around-the-world adventure, Roland comes back to Dublin and decides he wants to work on what he loves most: travel and hiking. He sets up his first adventure travel company back in Dublin, organising walking and cycling tours, including trips on the Camino. 2011: CaminoWays.com is born, specialising in the Camino de Santiago. 2012: By early this year our team is as big as three people! and we move to a small office in Dublin city centre. 2013: This year we welcome FrancigenaWays.com, focusing on another medieval trail, the Via Francigena or the Camino to Rome. 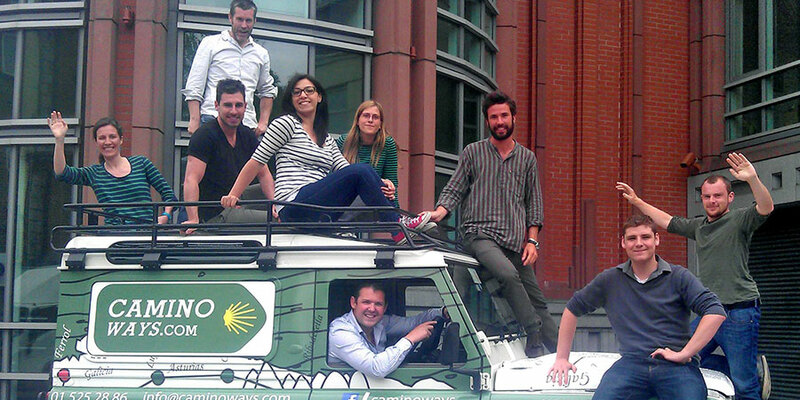 Our team grows to 10 people and it’s time to move to a slightly bigger office, also in Dublin city centre. 2014: IrelandWays.com is the new arrival to the CaminoWays.com family, specialising in trails across Ireland. 2014 is also the year we fist meet Justin and Patrick from I’ll Push You and help them on their extraordinary Camino adventure. We organise the first Camino walking festival in Ireland to celebrate St James Day in July. 2015: Inspired by Justin and Patrick’s journey we launch the Greenlife Fund to support responsible travel and other inspiring projects. In December this year, we move to our brand new office in Blackpitts, Dublin 8. 2016: TrekkingBug.com is our new arrival this year. We join the Kerry Camino festival in the West of Ireland. 2017: We have a shiny new CaminoWays.com logo and also a superb new website. We win silver as the Irish Blog Awards and also at the Digital Media Awards for Best in Travel. 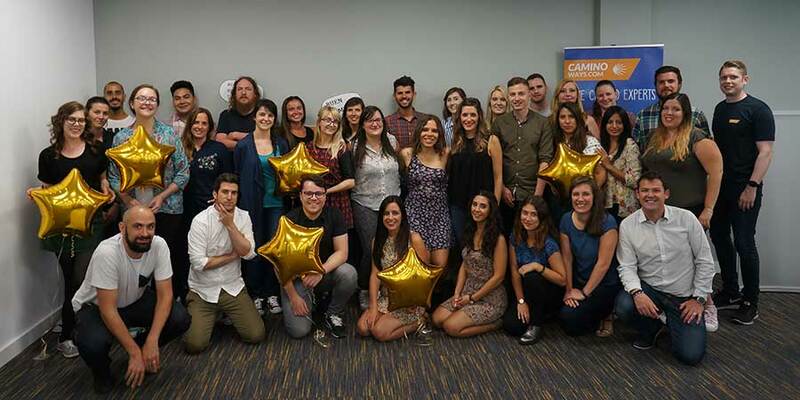 2018: The CaminoWays.com team has grown to nearly 40 people from all corners of the word. We are an adventurous and multicultural bunch. Together we can speak up to 10 languages. It can get a bit rowdy around lunchtime! We love what we do. Visit us at our office 22 Blackpitts, Dublin 8, Ireland to call us to speak with a member of the team. We will help you plan a memorable trip: info@irelandways.com or by phone: +353 (0) 1 525 2886.